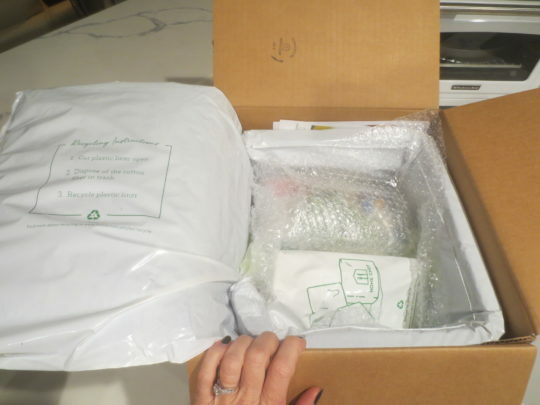 Home Chef is another company that offers the delivery of weekly meal kits. I’ve previously reported about a few others — Blue Apron, Hello Fresh and Plated. And now, here is Home Chef. Our Home Chef meal selection included Coconut Jasmine Rice Bowls with Fried Plantains and Corn Pico De Gallo, Fig and Goat Cheese Flatbread with Walnuts and Caramelized Onions & Brown Sugar Salmon with Ranch Mashed Potatoes and Green Beans. The recipe cards came with a nice white binder and they were 3-hole punched on good card-stock. 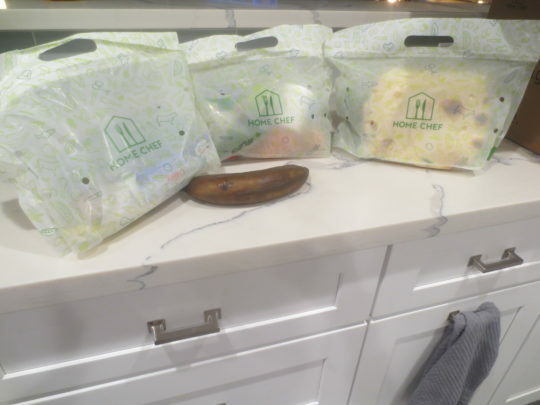 Each meal is grouped in its own sealed, handled bag with a straggler or two in the box, and the meat is under ice, which is convenient and good. All received with this shipment was fresh. 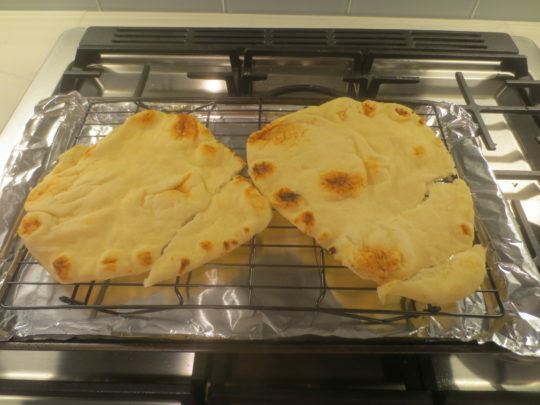 However, the Naan received for the Fig and Goat Cheese Flatbread was folded into its meal kit bag and thus cracked in a few places. I had to carefully place them back together before topping and baking them. They ended up tasting great, but it was mostly due to the Caramelized Onions, Fig Preserves, Goat Cheese and Arugula — An amazing combination. 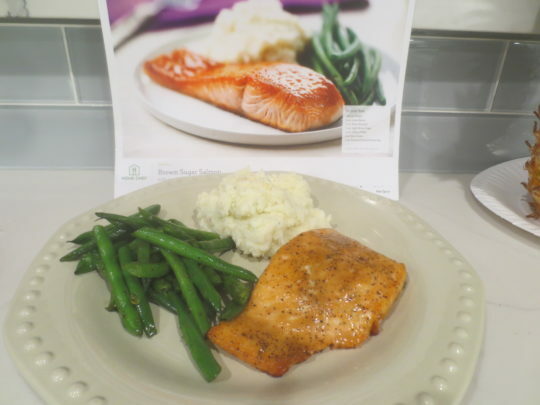 We liked the Brown Sugar Salmon too, though mine didn’t end up as gorgeous as the one on the recipe card. Not uncommon, but the sweet, tangy flavor it was anticipated to have was there. 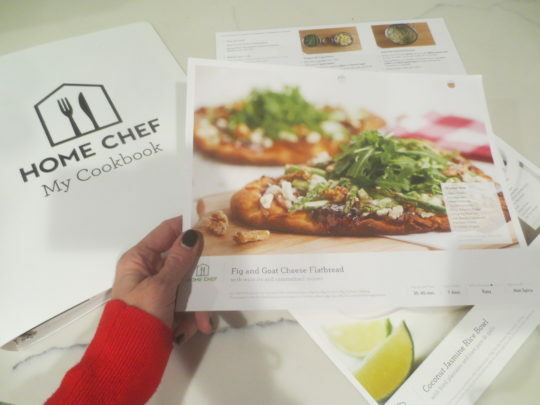 Home Chef’s price is comparable to Blue Apron’s — The Home Chef cost is $59.70 a week for (3) meal kits for (2) people and Blue Apron’s current cost for the same is $59.94. 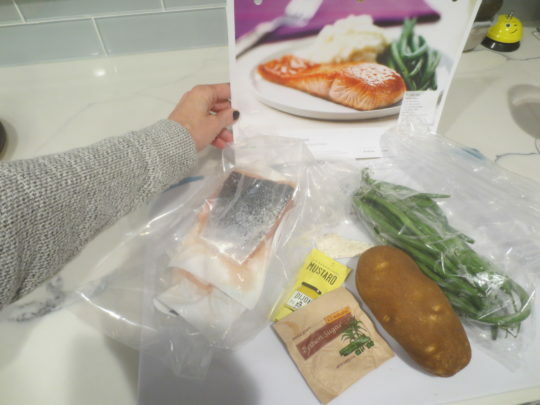 We like Home Chef, and we like Plated and Hello Fresh too, but Blue Apron is still our favorite weekly meal delivery kit company. Aside from these meals and the others I’ve tried and reported about, Blue Apron meals have been prepared in our kitchen on a weekly basis for about two years now. 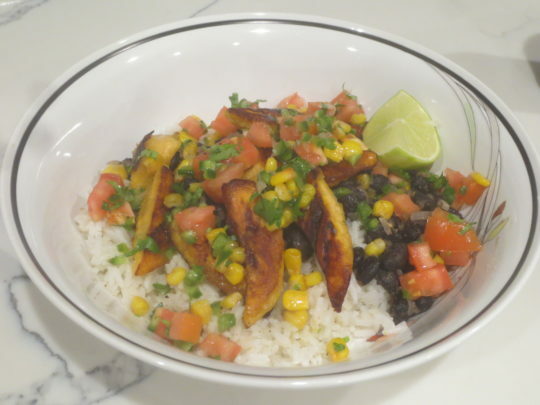 I like Blue Apron’s unique meal options and that all is made from scratch. It’s extra time and labor in some cases, but worth it in flavor. 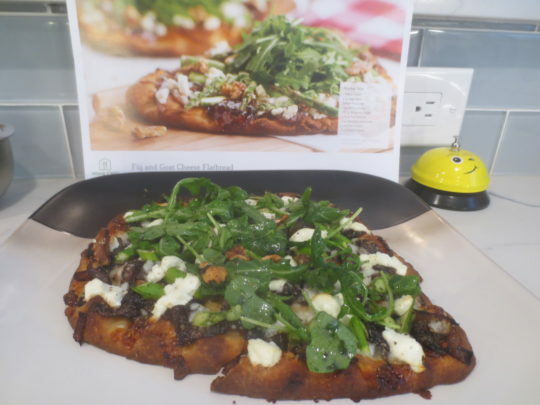 I like Naan, but would have preferred fresh Pizza Dough with the winning combination of Caramelized Onions, Fig Preserves, Goat Cheese and Arugula. Pizza Dough would most likely come with a similar Blue Apron meal. I have no complaints about any of these companies and I am still willing to try others, if the menu is right.